Battersea Park has something for everyone. Whether you're into sports, culture, the arts or wildlife, this beautiful open space is the perfect place to enjoy a great day out. This is a restored Grade II listed building, built in 1861 to supply water to the lakes and cascades of the then new Battersea Park. Now it's a public contemporary exhibition space, with engaging contemporary art and a diverse range of exhibitions, workshops, temporary projects and on-off events. The Pump House Gallery is owned by Wandsworth Council and is open Wednesday to Sunday 11am-4pm. It's closed Monday and Tuesday and when no exhibition is on. Train stations are Battersea Park or Queenstown Road, the nearest tube's Sloane Square. You can go to Transport for London's Journey Planner whether you're walking, cycling or using public transport. The Park's home to a few pieces of sculpture, such as Henry Moore's Three Standing Figures, along with Barbara Hepworth's Single Form, Kennington's Memorial and the Brown Dog by Nicola Hicks. You may not initially know these pieces, but they're part of a long and varied history of sculpture being exhibited in Battersea Park. In 1948, there was a big exhibition of contemporary work, which was followed by major exhibitions staged in the Sub Tropical Garden in 1951, 1960, 1963, 1966. For a number of years the Friends of Battersea Park have sponsored a Sculpture prize, offering a chance for students to display a work in the Park for a year. Even if sculpture isn't your 'thing' give it a go if you feel like stepping out of your comfort zone. The Affordable Art Fair will once again take place in Battersea Park between 12 and 15 March. You can learn more about original artworks from more than 1,100 artists and find art to take you wherever you want to go. 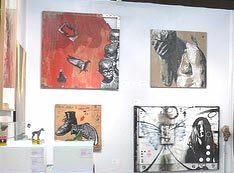 From traditional masterpieces, to more 'edgy' works, the aim is to make art as edgy and as fun as possible. You can find contemporary painting and sculpture, photography, limited edition prints. All of these are between £100-£5,000, so why not get yourself along and pick up a bargain? Even if you're not massively in the know about modern art, you may be surprised as to what little gem you'll find to decorate your home. This takes place from 14-22 February on the Boules Area of the Park, so if you're interested in attending you should definitely get yourself down there - particularly if you have kids. The fair is child-friendly, of the traditional variety, with bungee trampolines, the Disney train and teacup rides. Special deals include family 'happy hour' with rides for £1 per person. Well worth a look. 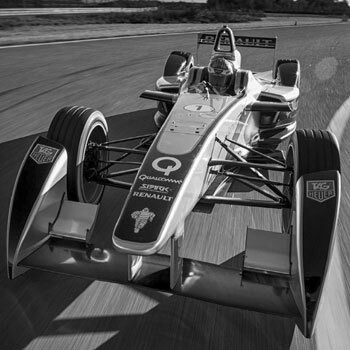 There are proposals underway to stage a Formula E electric car race in Battersea Park during June 2015. Formula E is a class of auto racing, sanctioned by the Federation Internationale de l'Automobile and is the highest class of competition for one-make, single-seater, electrically powered racing cars. The series started in 2012 and the inaugural championship started in Beijing on 13 September 2014. 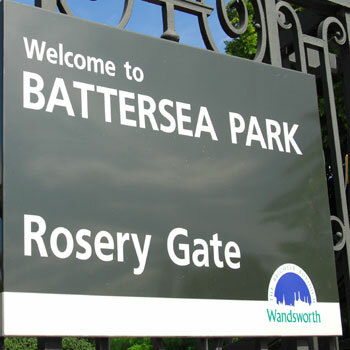 In our opinion, Battersea Park is a vital part of activity and vibrance in the area. Popular with south London residence, tourists and out-of-towners, there's often something on - even if you're looking last minute.